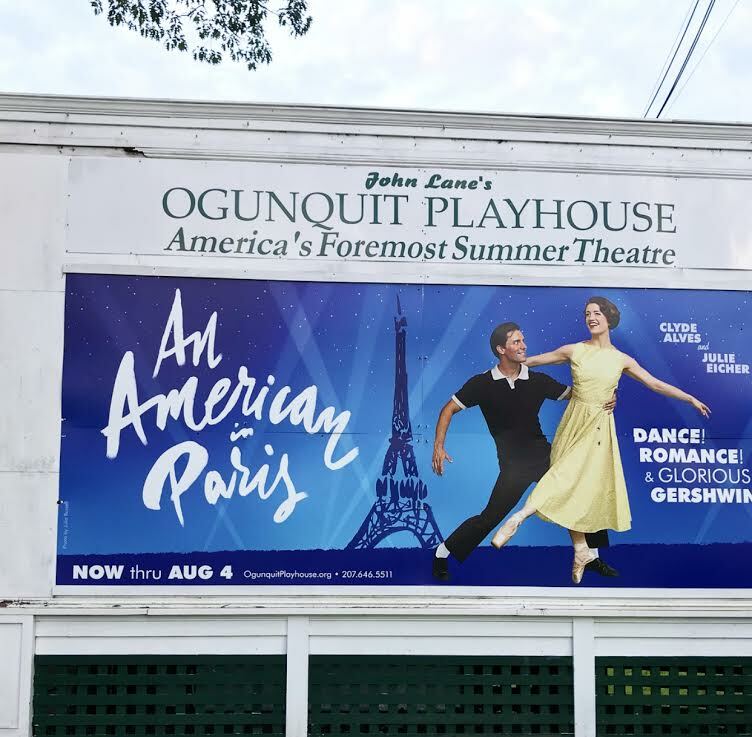 A Must See – “An American in Paris” at The Ogunquit Playhouse! 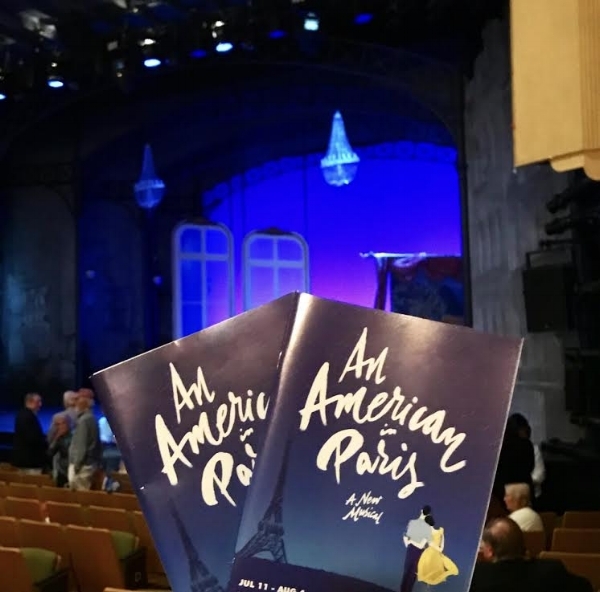 We were anxiously anticipating “An American in Paris” coming to the Ogunquit Playhouse, and now the time is here! It’s rather remarkable that some individuals are so incredibly talented in dancing, acting, AND singing, don’t you think? It’s also pretty wonderful that we are able to enjoy Broadway-level theatre in our own backyard! Set in post-World War ll Paris, this feel-good musical is all about bringing love, joy, song, and dance to a city recovering from hardships. 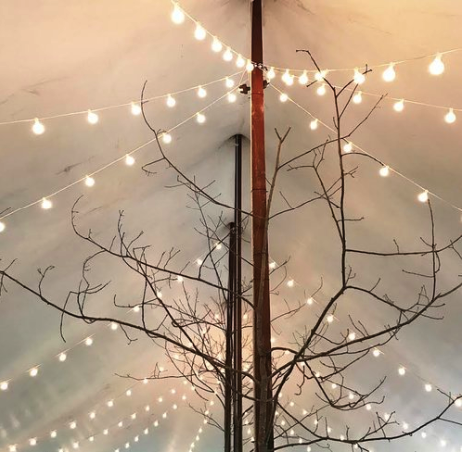 Set to the tunes by American legend George Gershwin (You may recognize some famous tunes like “I Got Rhythm” and “S’Wonderful”. ), the performance dazzles and delights its audience with jazz, ballet, and upbeat songs that keep you tapping your toes and smiling along. With a little playful humor sprinkled throughout the performance, the show was happy and uplifting. “An American in Paris” began as a composition by George Gershwin in the 1920’s, and was later turned into a film in 1958 – one of the most popular movies from Hollywood’s Golden Age. 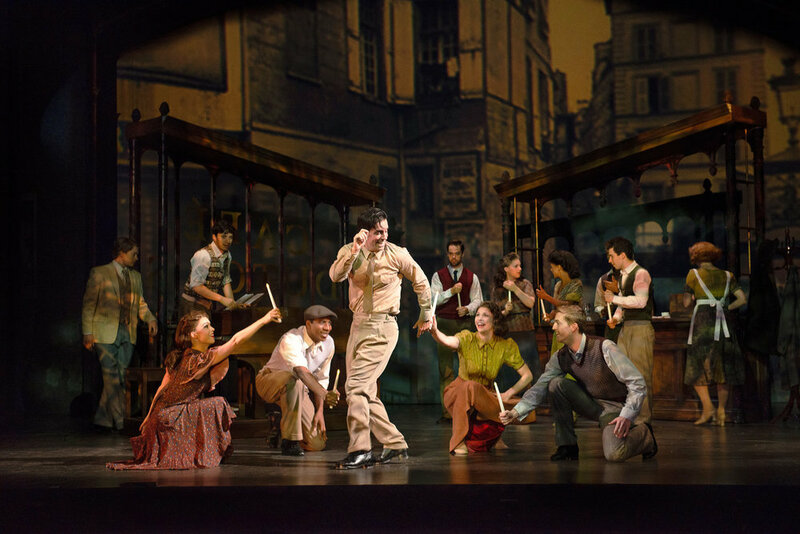 Years later, the film was recreated for the stage and “An American in Paris”, the musical, debuted in Paris before arriving on Broadway in 2015 – where it earned four Tony Awards. 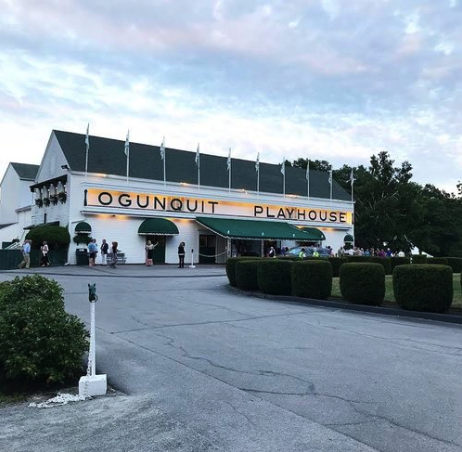 Today, the Ogunquit Playhouse is the first regional theatre to create the performance. 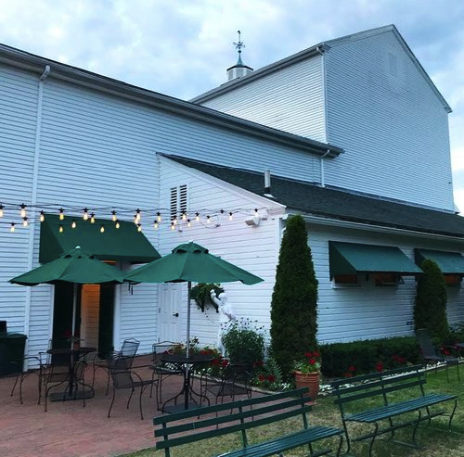 Summer nights at the theatre… does it get any better? 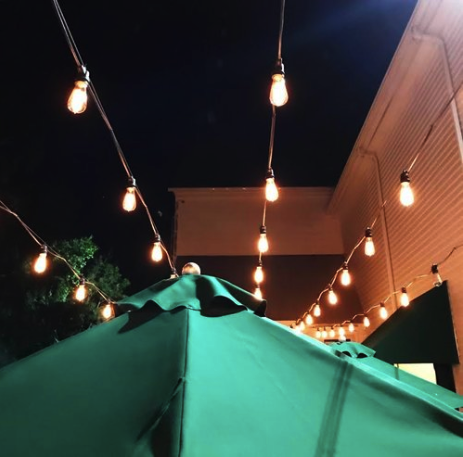 Enjoying a beverage on the patio before the show! 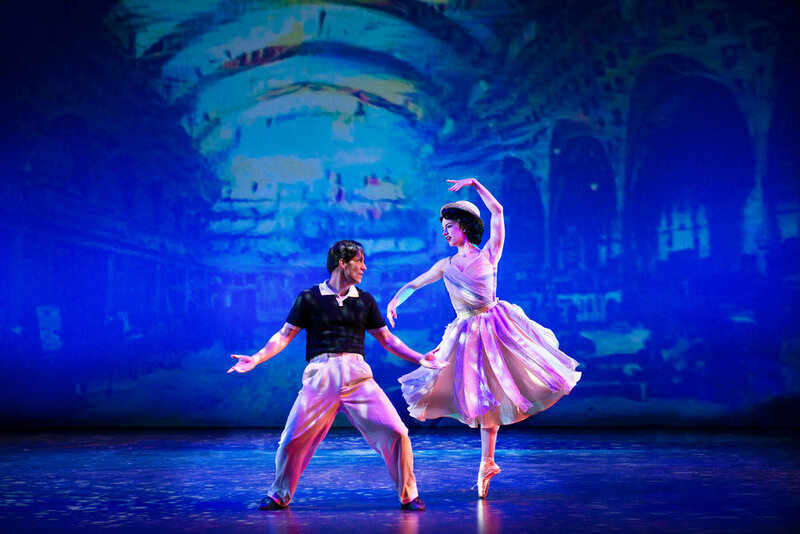 “An American in Paris” will run through August 4 at the Ogunquit Playhouse. Click here to learn more about the performance and purchase tickets for a thrilling experience!